WarioWare Gold on the 3DS! I know someone's going to be happy! Oh, uh, hey! I'm Lief Katano, and I'm bringing you the latest in Nintendo games! I literally just got home and the Direct just started, so I'll still be able to bring the latest Nintendo news directly to you! Dillon's now in the post-apocalypse, joined by your Mii as an animal. And your friend's Miis as animals. Strategy action RPG, it seems - demo's May 10, coming May...25? Oh, never mind, Bowser Jr. also has his own campaign. That's new! Detective Pikachu is finally coming over. Pikachu sounds nice, the humans look a bit... odd. Coming March 23. Luigi's Mansion is now on the 3DS! New features is going to be map on the bottom screen, and boss rematches! That's it for the 3DS, but we still got some Switch headlines. In Kirby Star Allies, Kirby can make friends with Dedede, Bandana Dee, and Meta Knight to start with. Well, uh, partners for the purpose of the game. Okami HD is this summer. Sushi Striker: The Way of Sushido is on the...Switch? I thought that was on the 3DS? Either way, you battle guys by beating them up with sushi. No, really. Oh, it's on Switch and 3DS. Octopath Traveler info! Tressa the Merchant is a new character, allowing her to buy stuff from townspeople. Alfyn the Apothecary is also in, with Inquire as his ability. There's also multiclassing, allowing people to use the abilities from other classes. Releases Julu 13th. There's also a special addition with cool items, of course. Travis Strikes seems to change between genres - there's certainly multiple game types listed, though they might just be "worlds". No release date yet, though. Dark Souls, the game everyone compares hard games to, is coming to the Switch. Network Tests will also occur. The Solaire amiibo exists, and lets you... praise the sun. Uhhh. You can redeem gold coins for discounts on any Switch game - namely, 1 cent per coin. Eh. Nice, but it only "really" works for digital games - you can redeem physical games for coins, but waaaaay less. Mario Tennis Aces exists! Chain Chomp is a new(?) character, so it seems. ...Interesting. You can aim your shots, unleashing Zone Shots to break your foes racket (or otherwise score a point)! Zone Speed can help counter that, though if you're good enough you don't need to use Zone Speed to counter Zone Shots and keep your racket intact. Of course, there's an energy gauge to make you pace yourself, though you can perform trick shots to recover it quicker. Special shots can also be used as even more potent Zone Shots. You don't have you use any of these, of course, if you're a tennis purist. Story mode also has maps (courts?) that mix things up even more. Also, if you're interested but not ready to spend the bucks, there's a tournament before release! Not much more info on it. Captain Toad is back! Treasure Tracker is on the Switch now, with a few new levels, mainly based on Super Mario Odyssey locations. There's also a 3DS version in the make. June 13. Crash Bandicoot's Trilogy is going to be on the Switch, too. July 10, this time. Little Nightmares is also coming. Puzzle platformer, based on childhood fears. Kinda horror, if not really. Also has a Pac-Man amiibo bonus costume, in case you don't want to take anything seriously. South Park: The Fractured But... wait. Wait what's the title?! ...Anyway, er, uh, it's a coming to the Switch. It's an RPG based on the show. DLC isn't packed with the game, but that makes sense enough. April 24. Hyrule Warriors: Definitive Edition (yes, once again!) will launch May 18. ARMS has an online tournament March 8-18, on the Ranked Match mode. Finalists get an art piece! nice. March 31st also launches another Global Testpunch. Splatoon 2 has ver.3.0 coming late April! A ton of new gear is being added, as well as stages (like an amusement park) and a new rank - Rank X! uh. Marie also appears in Story mode?! And, uh. Another thing. Oh hey. Is that playable Octoling, or...? Kinda looks like it. I don't really like the music for it, any rub. Actually looks more like an octoling campaign, I guess. Well...both. Ah. It's DLC. An Expansion Pass. Agent 8 is the Octoling player, being subjected to testing stuff. Beating the story lets you play as an octoling in online. Available in the summer; if you download it, you immediately get some exclusive gear. 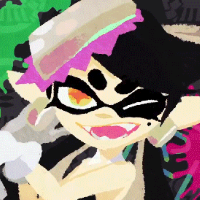 Splatoon characters in Smash Bros. There's no subtitle for it or anything. Just that it'll come in 2018. And we know Link and Mario are in it. I mean, if you had any doubts. EDIT: As @Cap'n Jack said, this is its own thing, not Smash 4 DLC. Sorry if I caused any confusion! Not anything I've been super-excited for, but eh, what'chu gonna do. Smash Switch is interesting, but given that we know literally nothing about it but "Inkling newcomers!" (Mario and Link being in don't count, shut up) I can't, as they say, "get hype". Actually, scratch that. Rick's in Star Allies now and that is the best thing ever. I just want my Bravely Third. @Meyneth wrote: I just want my Bravely Third. Agent 8 is the Octoling player, being subjected to testing stuff. Octopath Traveler is like Bravely Third. 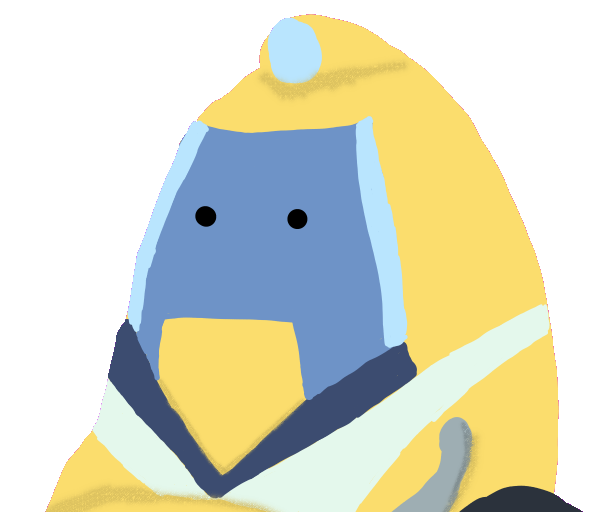 you are officially "no one"
Sword Dark Matter for Star Allies when? In your blog post you make it sound like this is DLC for Smash 4, so I wanted to tell everyone what the title of the YouTube upload is. Not sure if this is going to be a new Smash game or an updated rerelease of Smash 4. My money is on a new Smash game though, and that’s SUPER AMAZING EXCITING OMG SO COOL!!! !